When receiving goods, it may be that you receive a full shipment, but for one reason or another some of the goods must be returned to the vendor. In these cases it may be necessary for you to amend the Goods Received function to reflect the stock that you have returned. While this is a quick process, this help sheet will outline the steps to take to ensure the system, takes this information correctly. If the Goods Received function is an area of the system you are unfamiliar with, it is recommended you first read the Goods Received Routine help sheet, which can be found here. 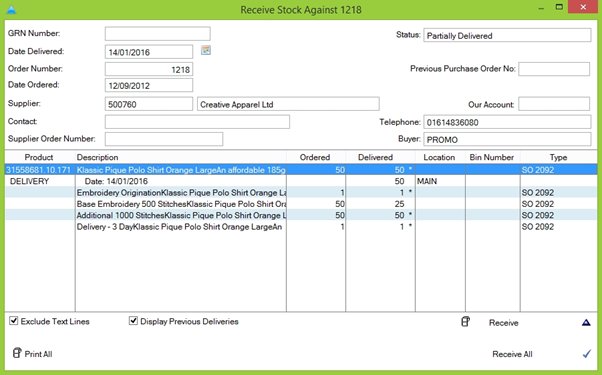 You first need to navigate to the ‘Receive Stock Against #’ screen for the order in question. 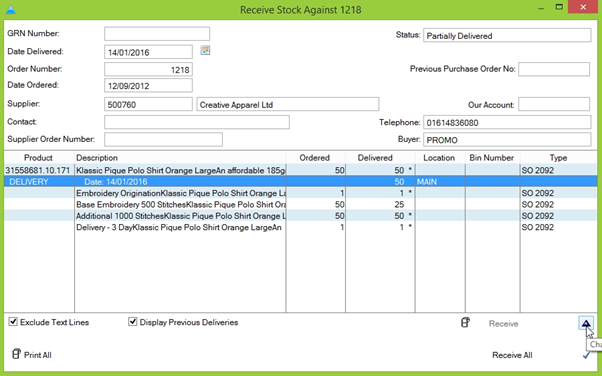 You will notice that there is a new line in the order marked ‘DELIVERY’ with a date in the description field. This is the line we need to amend. To do this, double-click the line or highlight it and click the blue triangle in the bottom-right of the screen. This will generate the ‘Change Delivery’ screen. 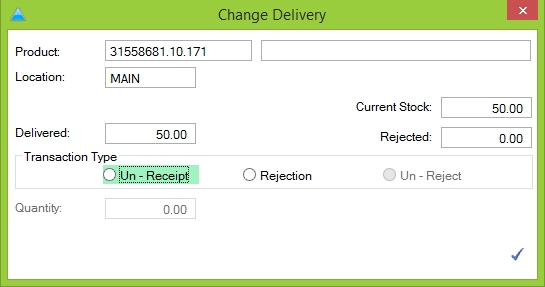 You will notice a line of radio buttons towards the middle of the screen marked Un-Receipt, Rejection and Un-Reject. In this instance, we want the un-receipt button. Ensure this is highlighted, then enter the number of items that you wish to un-receive in the text box below. Once you’re happy with the amendments, click the blue tick in the bottom-right of the screen. 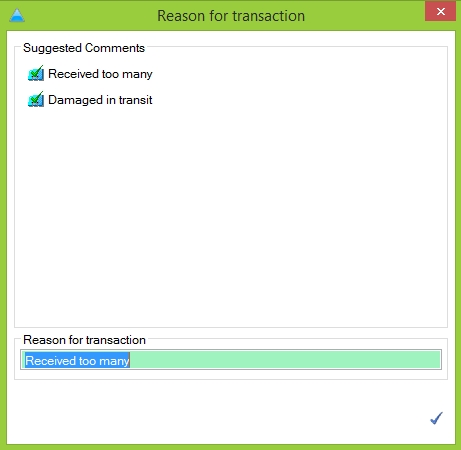 Similar to Receiving Goods, confirming these changes will bring up the ‘Reason for Transaction’, again with some pre-loaded options based on the task. You can again manually enter a reason if you wish. When you’re happy, click the blue tick to complete the un-receipt process.